I’m talking with a variety of vendors that are tackling this, and one of them that is poised to do it well is Saba. Incorporating and Cultivating Value from Saba’s Acquisition. Yes, Saba has long been known for its learning technology. For instance, one customer, DXC, has done some incredible work using Saba as a sort of supply/demand tracking system for skills within the company. For example, Saba offers a robust set of APIs (more than 600 of them and counting). Last week I reported in from Saba Insight, the company’s annual user conference. This week news popped that Saba has entered talks to acquire Lumesse, a European talent management provider. Saba, a portfolio company of Vector Capital, to acquire Lumesse, extending Saba’s global leadership position in HCM. Saba, on the other hand, has the North American market pretty well pegged (see my post from last week for more details). Last week Saba and the crew at Fistful of Talent ran a webinar on how HR pros can use the concept of “framing” to drive their own influence, outcomes and authority within the organization. The employee dashboard in Saba Cloud puts goals and performance front and center. And with Saba Video – our high-performing video learning solution – you can securely host and stream video content directly in Saba’s unified platform to enhance employee learning with video. Check out the infographic to discover 10 ways Saba Video can be a game changer for your learning programs Video makes content more engaging and enjoyable to consume while also increasing knowledge retention. Today, at the HR Technology Conference and Exposition, we announced the latest enhancements to Saba Cloud that support a people-centric approach to modern learning and performance. Modern learning moves the needle on business impact in Saba Cloud. The combination of Saba and Halogen signals the convergence of the best and brightest minds in talent management. Here are 10 ways Saba + Halogen make the ultimate power pair. Saba is the pioneer in learning and engagement. This week Saba made two major announcements. First, the company introduced a bold new product offering, Saba PeopleCloud, an integrated new “work environment” which pulls together. HR Systems SabaBersin & Associates, Leading Research and Advisory Services in Enterprise Learning and Talent Management. Saba achieved a major milestone in our company’s history today with the acquisition of Halogen Software. I’d like to invite you to take a few minutes to watch a short video we created to give a glimpse into the new Saba leadership team’s shared values, approach and commitment. This is reflected in their honest feedback about why they choose Saba, what’s great, and how we can improve. A post shared by Saba Software (@sabasoftware) on Oct 11, 2017 at 4:45pm PDT. It’s official - Saba Software is a @capterra Top 20 Most Popular Talent Management Suite Tweet this. The first one comes from Learning and Talent Managment technology Saba. Saba announced this week they acquired talent acquisition technology Lumesse. . Why should you care about who Saba purchased? . Saba is great at learning. Next week, the brightest minds in HR and HR technology will descend upon sunny Las Vegas for the 2018 HR Technology Conference. It’s one of our favorite events of the year, every year. At Saba, we know talent management is not an either/or. I'm excited to share that at #SHRM17, we announced our latest innovation in employee coaching and collaboration: the Halogen® mobile app. A very important partnership was announced today: IBM announced a major commitment to Saba as its primary learning management technology partner. Tags: Enterprise Learning HR Systems LMS, LCMS ibm lms Saba Background on IBM’s Learning Platform. Bersin & Associates, Leading Research and Advisory Services in Enterprise Learning and Talent Management. Enterprise Learning Learning Programs CornerstoneOnDemand Degreed Edcast Oracle Pathgather Saba SumTotalOver the last several years the corporate learning marketplace has been under stress. Saba Software is excited to announce that we have been recognized as the December 2018 Gartner Peer Insights Customers' Choice for Talent Management Suites! Anita Bowness , is the Principal Product Manager, Customer Success for Saba Software. Hiring & Recruiting hiring within Saba Software Talent PoolThe numbers are in: It is a jobseeker’s economy. Source: pgraphis / iStock / Getty. Recent data released by the U.S.
By Jayson Saba,VP of Strategy and Industry Relations at Ceridian. 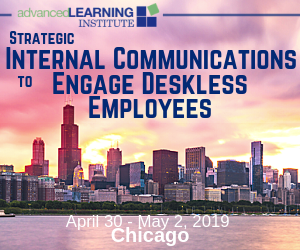 Human Capital Management #SHRM15 ACOO Brands change management Dayforce HCM employee engagement HCM HR Human resources implemenation jayson saba SaaS SHRM talent management Tom CielakAs usual, Ceridian once again took over #SHRM15 last week. Lines of HR practitioners and executives flocked to see Dayforce in action, and get pampered with a makeover and/or a shoeshine. By Jayson Saba,VP of Strategy and Industry Relations at Ceridian. Human Capital Management CedarCrestone HR professionals HR technology Human resources jayson saba ROIIt’s never been a better time to work in human capital management. Thanks to the rise of innovative HR technology and the arrival of newer, more creative ways of doing work, it’s now easier than ever to manage employees. Everything from handling payroll and benefits logistics […]. By Jayson Saba,VP of Strategy and Industry Relations at Ceridian. Recruitment & Talent Management compensation employee productivity employee recognition employee retention jayson saba Laurie Ruettimann Before the calendar turned, I had blogged about why 2015 will be the year of the Employee. HR professionals will be looking for high levels of employee retention and productivity in 2015 and in some way, shape or form, this has always been their job. By Jayson Saba,VP of Strategy and Industry Relations at Ceridian. Human Capital Management #hrtech employee engagement HR technology HR Trends Human resources jayson saba user experience workforce management Earlier this week, I blogged about the buzz we saw this year in HR Tech. But what’s coming in 2015? By Jayson Saba,VP of Strategy and Industry Relations at Ceridian. 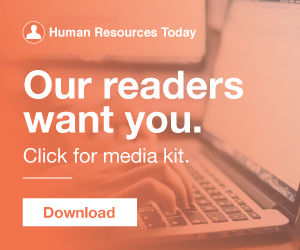 Uncategorized cloud computing HCM HR HR technology human capital management human resources big data implemenation jayson saba Leadership workforceBusinesses today are moving in droves toward a new way of approaching human capital management. By Jayson Saba,VP of Strategy and Industry Relations at Ceridian. Human Capital Management ACA Affordable Care Act analytics Big Data compliance employee engagement HR technology HR Trends human capital management Human resources jayson saba recruiting workforce management As we look back at the most popular HR trends and topics covered in 2014, a few issues rise to the top. Affordable Care Act (ACA) Thanks to the ACA, compliance was and remains a hot topic. Human Capital Management compliance Dayforce employee productivity HR HRO Today Human resources jayson saba payroll payroll processing technologyIt can’t be understated that effective payroll processing is one of the most important aspects of running a business well. The paycheck is the main reason that people show up to work each day, and with this in mind, it’s imperative that HCM leaders consider investing in better payroll technology. You want a solution that’s […]. By Jayson Saba,VP of Strategy and Industry Relations at Ceridian. Human Capital Management #CeridianINSIGHTS customer success David Ossip Dayforce HCM HR human capital management Human resources INSIGHTS jayson saba Josh Bersin performance management RelatedMatters ROI TeamRelate WorkAngelIf you follow @Ceridian or any HR analysts on Twitter, you will have noticed over the last couple of weeks that the Twittersphere was buzzing with the hashtag #CeridianINSIGHTS. By Jayson Saba, VP of Strategy and Industry Relations at Ceridian. 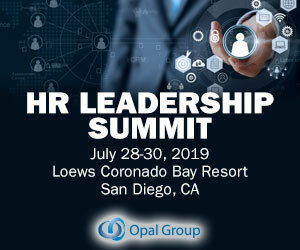 Human Capital Management human capital management HCM Dayforce HCM payroll jayson saba HM.ClauseHuman Capital Management professionals are increasingly asked to take companies into cloud (SaaS) HCM technology,” says Mark Smith, CEO and Chief Research Officer at Ventana Research. The benefits of cloud technology in HCM are undeniable; however buyers need to know the company and the […].